Yes. Yes. Again? Yes! Anthony “Shake” Shakir is one our favourite producers of gritty wonk-house. 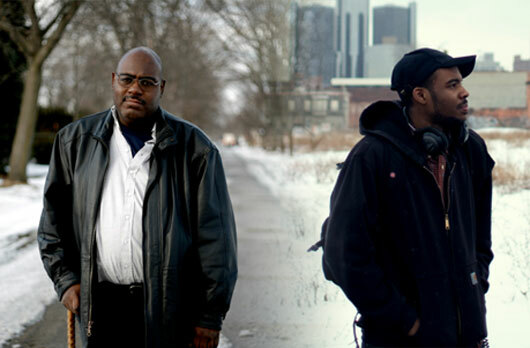 A Detroit native who’s been making music since the eighties, “Shake” has had a bit of resurgence over the last few years with a new generation of producers latching on to his whacked-out, off kilter deep house jams. One such person is Kyle Hall who has picked up “Shake”‘s spiritual baton and ran with it to places that you would never expect. In our (humble) opinion Kyle Hall is not just the future of house music in Detroit, he is the future of house music full stop. Now on his own Wild Oats imprint, Hall is releasing Da Sampla – West Side Sessions, which is a pseudonym of Shakir’s from the nineties. Taking the long out of print original track ‘Mk83’ as a starting point, the record comes with multiple new versions, and a brace of locked grooves for DJ’s to mess with. It is pretty damned special. Generally available in the shops only, we suggest you start on discogs if you want a copy. In the meantime, we are very very stoked to be bringing you a 10 x 4 with Anthony “Shake” Shakir. A calm state. no madness required or necessary. I do not think I have had it yet. When I realized I could actually do this. Realizing it was not as big as I thought it was. At home, or a studio with electricity.